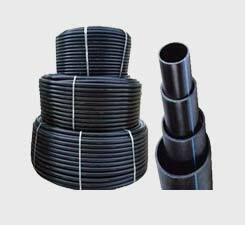 HDPE Pipes, Drip Irrigation System, Drip Lateral, Inline Dripper and Emitting Pipe Supplier & Distributor in Rajkot (Gujarat), India. 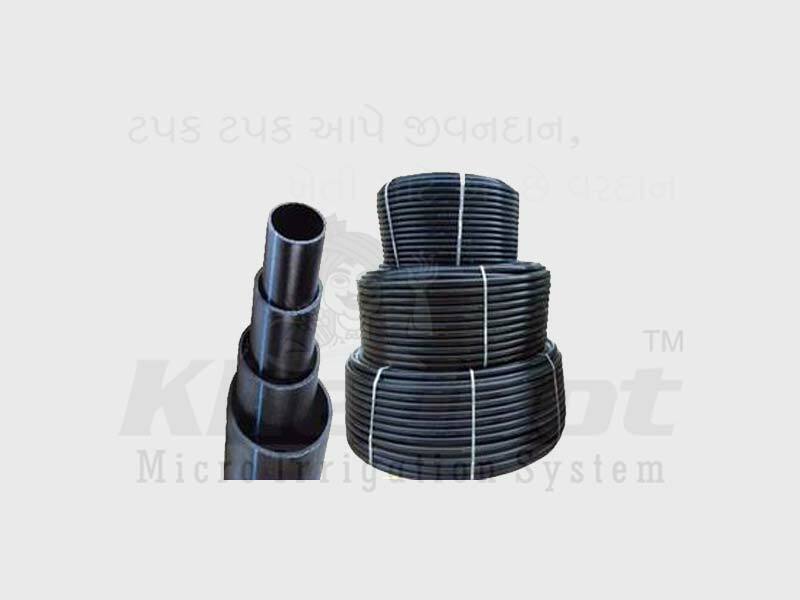 “Khedut” HDPE pipes are suitable for underground & overgrown installations and are available in 20mm to 110mm sizes. “Khedut” HDPE pipes are also available in coils of 50, 100, 150, & up to 300 Mt. in length. The pipes to be used in the system are made up from 100% vergin High Density PolyEthylene Granuals. It also compare or passes the IS standard mark as per IS 4984-95. This pipe is light in weight, flexible & highly durable. Potable water supply under water piping. Outstanding resistance to conventional chemical & environments. Exception durability and long life. Absolutely light & lick proof. Malt Flow Index rate 0.2 to 1.0 gm / 10 min. C) Length 6 Mtr. & upto 500 Mtr 5-6 Mtr. 3-4 Mtr. 3-4 Mtr. D) Flaw Initially 50 & more flow in comparison to others & retail that standard till end. Initially flow get reduced slowly because of rust. Initially flow is 40% more Initially flow reduced by 40 to 50% after 5 to 10 year. G) Life Last a life line Get rusted so required to be changed after 30 years. Less chances of changing Required to to change after 20 Years. As per the variegated requirements of our clients, we are offering an extensive collection of HDPE Pipes. Our offered pipes are reckoned in the market for their seamless finish, non-corrosive and abrasion resistance nature. These pipes are quality approved which is in sync with the set industry norms. It is available in various sizes and shapes to suit the purpose of the clients. In addition, these pipes are stringently tested on certain parameters to eradicate all kind of defect before delivering to clients.